We’d booked this event months in advance – it was the first time the site had held a Dubfest and they were massively oversubscribed, so we were glad we booked early. There were due to be 13 of us from the Brazilian Bay Forum but in the end a couple had to drop out, so there were 11 of us attending. The weekend before was glorious with bright sunshine and fairly warm for the time of year too, but, of course, the forecast for the event weekend was wet, wet, wet… We set off about 10am from home to drive to Boot in Cumbria, with grey thick clouds above but still dry under foot and after a satnav related detour into Millom we arrived at the site about 1pm. A few others had already arrived and we parked up with the rest of the gang. We’d brought the awning to allow us a transition between the van and the mud and, given the amount of rain that fell over the weekend, we were glad we had. It was soon up and we were ready for a sandwich for lunch (ham and pease pudding if your interested). This was new site for us and well worth a visit if you’re heading to West Cumbria. 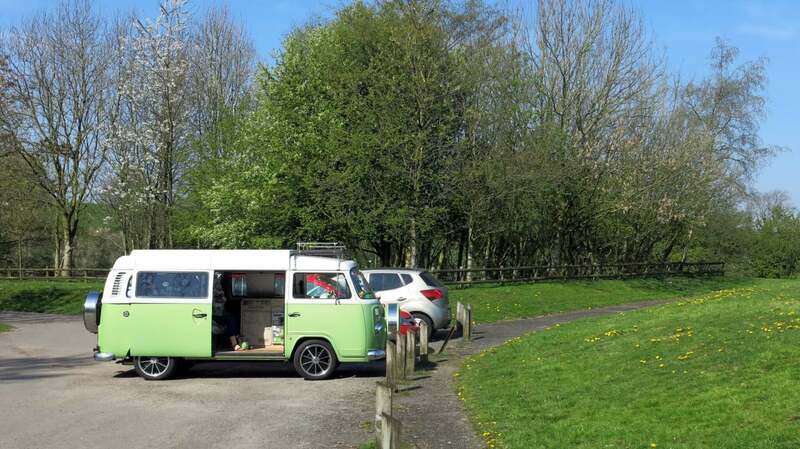 It’s a Caravan & Camping Club site run as a franchise by Martyn Merkel and his team and a great job they’re doing too. They have another site in nearby Ravenglass as well. 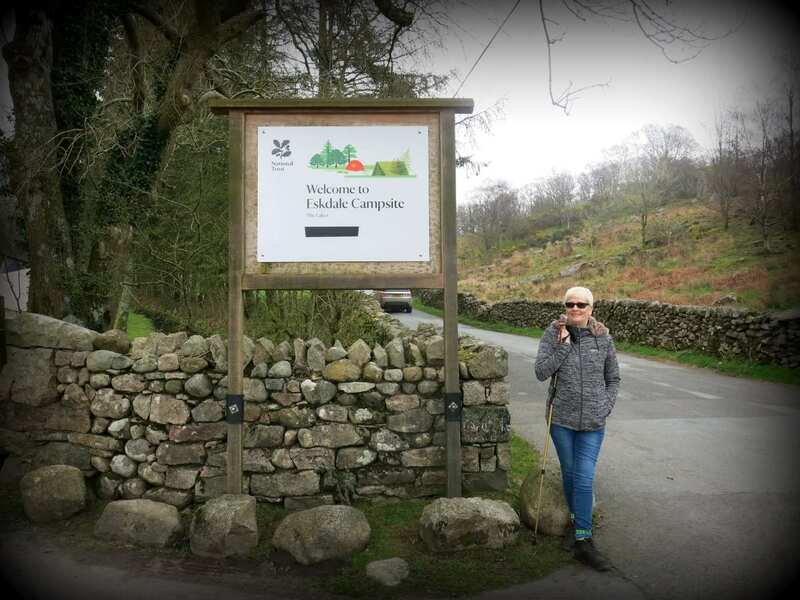 The only issue with Eskdale is drainage – the camping fields hold water really well and, in view of the fact that Seathwaite, the wettest place in Britain, is just over the hill there’s always a chance that you’ll get your feet wet. Friday night was spent in the Woolpack Inn along the road. 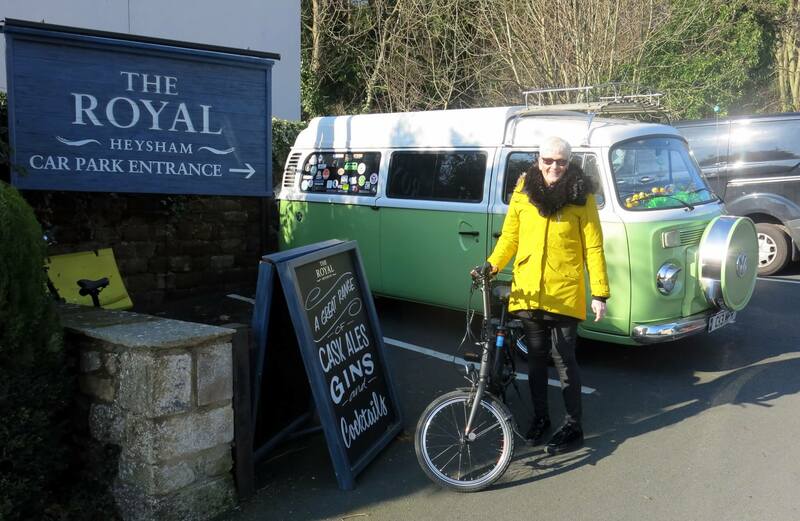 They had a band playing and a great atmosphere (the beer wasn’t bad either) – the highlight, though, was staggering out at 11pm and getting a lift back to the site in the transport provided – an ex-Army wagon with a canvas top and bench seats. Cue much giggling and a short chorus of “It’s a Long Way to Tipperary”. It’s a long way to Tipperary..
We were dropped off at the entrance to the site and the smell of barbecue filtered its way into our nostrils – the catering stand was open! A quick burger finished the evening very nicely, thank you, and then it was off to bed. Saturday started dry, but it didn’t last long.By 10 it was raining quite heavily as we walked down to Dalegarth Station to catch La’al Ratty to Ravenglass. We squeezed into the tiny carriages as the miniature diesel engine pulled us along the valley.Once in Ravenglass we walked down to the beach and then across the estuary on a short walk, before heading to the Ratty Arms for a couple of beers and a bite to eat. Just to prove what a small world it is, as we were enjoying a pint there was a knock on the partition window from our next door neighbours, Gavin & Karen who were in the area with their friends, Steven and Emma. We headed back to the Station to catch the train back – all the while with the rain sheeting down. The carriage coming back was, if anything, even smaller than going and I had to be almost folded in two to get in and out! Sometimes being 6’5″ isn’t an advantage. Saturday evening took us to The Boot Inn. Everyone else was already there when we arrived and they were none too thrilled by the food. Apparently quite a few of the dishes on the menu weren’t available and what we did see looked a bit bland, although there was a good value barbecue being run outside (lots of meat and a pint for £10). On the way back from the train earlier we’d spotted that the Brook House Inn advertised 175 different whiskies so we stopped off there on our way back to the site. Of the 3 pubs in the valley it was by far the best and was full of locals as well as visitors. We’ll definitely be back as the food looked excellent. I can recommend the Bruichladdich 12 if you like a single malt although they ran out and I switched to Bruichladdich 10 which wasn’t quite so smooth. 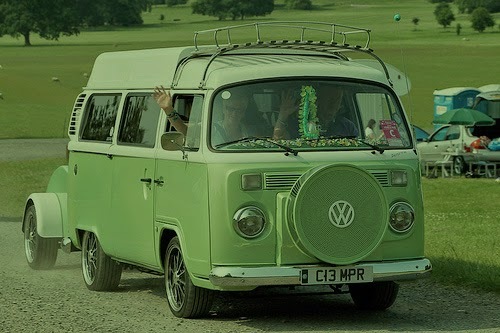 Sunday morning was a time for packing up ready for a VW cruise around the country lanes, ending up at Muncaster Castle. First though we had to get the awning down – I suspect it’ll take quite a while to get it clean – the ground sheet is covered in mud so next weekend’s job will involve a hosepipe I suspect. The field was very wet and muddy and there was some worry about whether we’d get off. Fortunately, the T2 is rear wheel drive and we all drove off unassisted. The T25s where less lucky – the front wheel drive and weight of them meant that a few had to be towed off. No damage done though and everyone was looking forward to the cruise. We drove down to Dalegarth Station where everyone assembled for the cruise. The team from the site has done a recce in the early hours of Sunday morning to make sure the route was clear and were stopped and breathalyzed by the police who seemed surprised by their reason for being out at that time. No harm done and we much appreciated their preparation. The BraziBays led the way on the convoy and there was a fair bit of waving from locals and other drivers as we drove to Seascale to park up near the beach. It was bitterly cold and windy so we didn’t stop long before setting off again to the Castle. We got free entry and were allowed to park right outside the Castle itself. A few of us wandered off to the stables cafe for some lunch and a last chat before we all headed our separate ways. Inevitably, the sky cleared as we got closer to home and the rest of the day brought bright sunshine and blue skies – typical! There’s a full set of Photos here.